There’s a chill in the air and that means it’s time to start working on your holiday gifts! We’ve got tons of inspiration, including free patterns, and classes to get you going! Check out our Facebook page and Pinterest boards for even more inspiration! 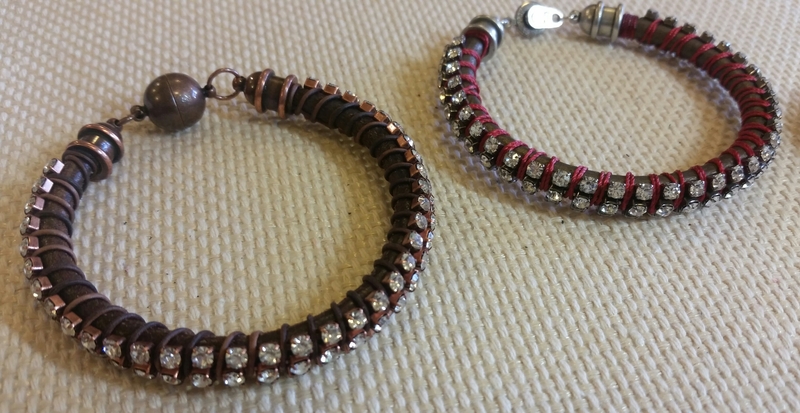 New Band of Bling Bracelet – Free Pattern with purchase!